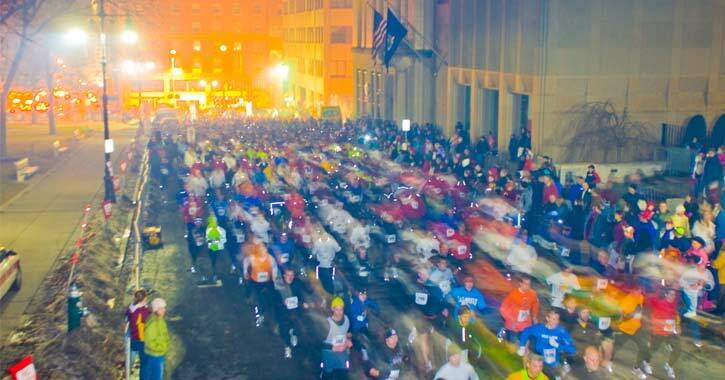 Be a part of Albany's best winter run, celebrating its 22nd year, on Saturday, December 8, 2018. The St. Peter's Cardiac & Vascular Center Last Run kicks off at 5:00pm and winds through Price Chopper/Market 32 Capital Holiday Lights in Washington Park. 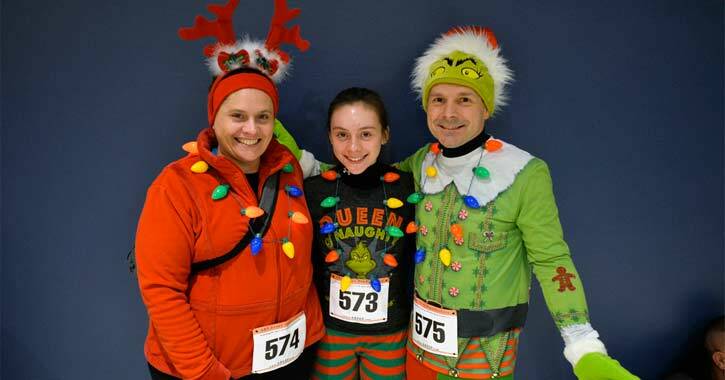 This is a great race for all ages, featuring a beautiful course through Capital Holiday Lights in Washington Park and a spectacular fireworks show! Following the race, awards recognition and posting of results takes place at the Empire State Plaza Concourse at the base of the Egg, featuring age-based divisional awards and random prize drawings. This race also features chip timing by ARE Event Productions. All registered runners will receive a Last Run 5K wicking fabric shirt (sizes not guaranteed after November 1st). Bibs will be available based on the last name of registrant. If picking up more than three bibs, please see multiple bib line and be prepared to sign a form for all participants you are picking up for. Last Run staff are not responsible for lost bibs, so please be sure to keep your bib safe once picked up! The Last Run 5K typically sells out well in advance. Runners are encouraged to register early to ensure their spot. Participants may register online or mail in their entry form. Early registration is only $25, and increases to $30 on November 1. Day-of registration is $35 if spaces are still available. Parking is located in the surface lots, garages, and metered spots throughout downtown. All meters are free in Albany on weekends (Saturdays & Sundays) as well as NYS museum and Cathedral lots on Madison Avenue. Please note parking and street closures when planning your route. No alcoholic beverages, glass containers of any kind, animals or pets. * All entry fees are final and non-refundable. Due to the hour of the race, dogs and carriages are prohibited. The organizers reserve the right to cancel the race due to weather conditions that cause the running surface to be hazardous to the runners' safety. The City of Albany, AREEP, and any affiliate or venue associated with Last Run 5K are not responsible for lost bibs. Ground rules are subject to change without notice. Exceptions made for medical or child care reasons may be addressed individually. 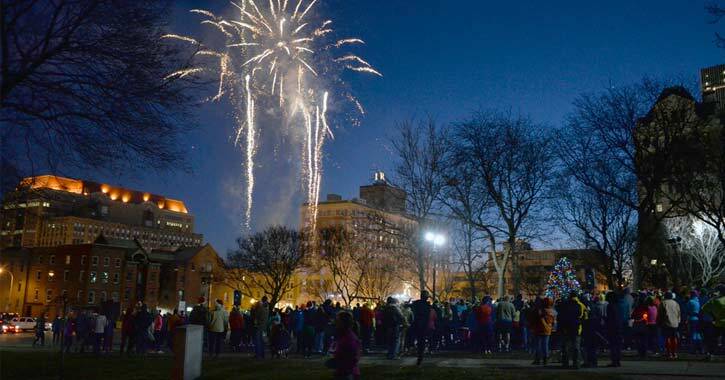 For more information call City of Albany Office of Special Events at (518) 434-2032.